ISLAMABAD (September 15, 2017): A three-member delegation of the National Science Foundation (NSF), Sri Lanka visited Pakistan Science Foundation (PSF) on September 15, 2017 on invitation of Chairman, Pakistan Science Foundation (PSF), Prof. Dr. Muhammad Ashraf. The NSF team was headed by Prof. Dr. Sirimali Fernando, Chairperson of NSF. She was accompanied by the seniors members of NSF. During the meeting various aspects of future joint collaboration were discussed. 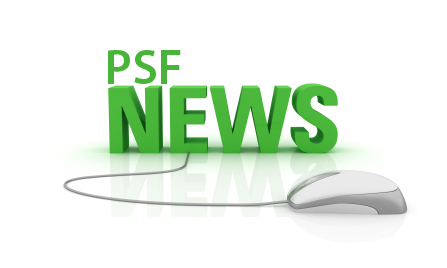 PSF and NSF by joint discussion finalized the projects for funding. The both Foundations also agreed to launch 2nd call of joint proposals. The proposals will be submitted jointly by Pakistani and Sri Lankan sciences in various scientific fields. Priority areas of joint proposal submission were also finalized during the meeting. PSF and NSF also agreed to conduct joint workshop on key scientific areas. 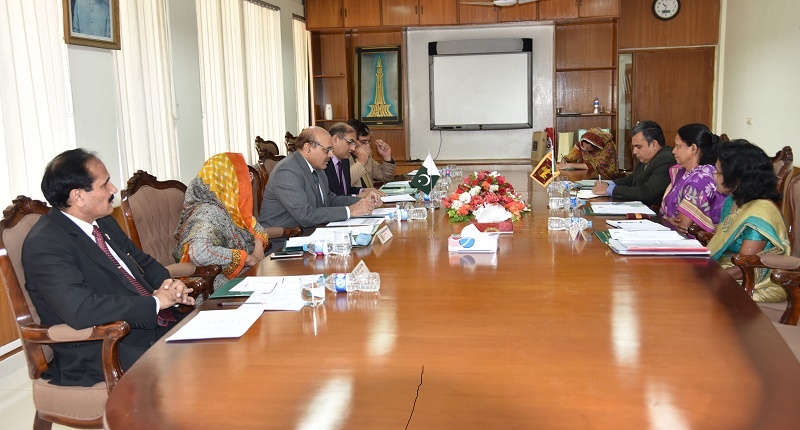 Pakistan Science Foundation (PSF) Chairman Prof. Dr. Muhammad Ashraf and Sri Lanka National Science Foundation (NSF) Chairperson Prof. Dr. Sirimali Fernando and their respective teams discuss avenues of joint collaboration at PSF on Friday. 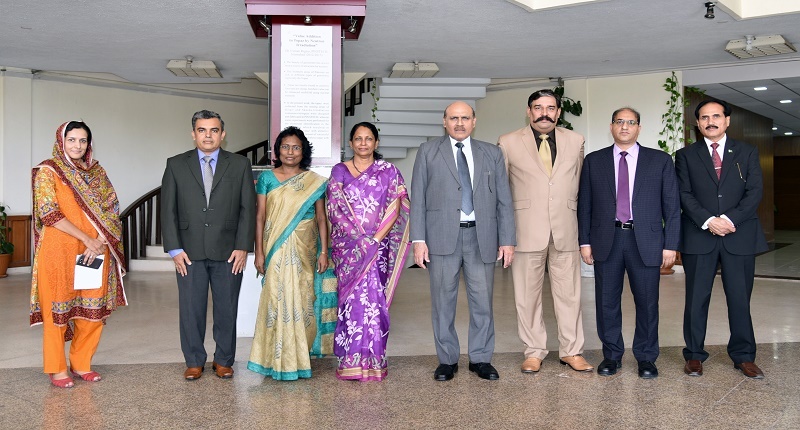 A group photo of Sri Lanka National Science Foundation (NSF) Chairperson Prof. Dr. Sirimali Fernando and NSF delegation with Pakistan Science Foundation (PSF) Chairman Prof. Dr. Muhammad Ashraf and his team at PSF on Friday.